HBT East Building Renovation Renovation of existing HBT East Classroom building into four chemistry labs, one geology lab, one physics lab, one physical sciences lab, three multi-purpose classrooms, office space, and student lounge. New Power, Lighting, Integrated Building System and HVAC controls. Student Resource Center (SRC) Renovation 141,000 square feet of renovated space complete renovation of third floor with partial renovations of the first and second floors, increased student services areas for student organizations, meeting areas, and staff areas. New Integrated Building System and HVAC controls. New academic building for the Lincoln Park Campus 4-story building located in Chicago and will house academic space to accommodate classrooms, student computer and study labs, and faculty and administrative offices. New Integrated Building System and HVAC controls. The anchor for the popular programming is the 18,500-square-foot building within the native landscape of the Greenbelt Forest Preserve. Originally opened in June 2000, the Cultural Center underwent a major expansion in 2011. The improved facility has classrooms, a divisible multi-purpose program room, community art galleries, an outdoor amphitheater and an outdoor pond for environmental education programs. Large windows offer panoramic views of the surrounding natural setting. New HVAC Equipment controls and new Integrated Building System for new facility and modifications to existing HVAC Equipment and Integrated Building System for existing building. The mission of the Chicago Zoological Society is to inspire conservation leadership, especially among young people. Renovation of reptile house into a state-of-the-art learning space will make it possible to bring together in one place all of learning that will enhance the ability to reach a broad range of students, from pre-school to post-graduate, teachers and educators who are so critical to the process of conservation education. New Integrated Building System and HVAC controls for facility. $12 million dollar 16,000 square-foot addition to the school that will house a new gymnasium, computer lab, and larger administration space. The school opened in 2005 with 80 kindergarten through first grade students. The school bases its programs on the nationally-accredited preschool program at the Erie Neighborhood House that has been educating Chicago’s low-income immigrant children since 1870. Once the expansion is complete, the facility will be compliant with the American’s with Disabilities Act and will qualify for a Leadership in Energy and Environmental Design (LEED) silver certification. New Integrated Building System and HVAC controls for facility. 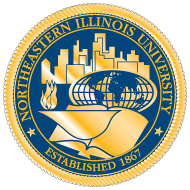 Northeastern Illinois University (NEIU) is a public state university located in Chicago, Illinois. The main campus is located in the community area of North Park with three additional campuses in the metropolitan area. Tracing its founding to 1867, it was first established as a separate branch of a public college in 1949. Renovation and modifications to Power, lighting, new Integrated Building System and HVAC controls. William Rainey Harper College is a comprehensive community college in Palatine, Illinois. The college was established by referendum in 1965 and opened in September 1967. It is named for Dr. William Rainey Harper, a pioneer in the junior college movement in the United States and the first president of the University of Chicago. Modifications to main boiler plant HVAC controls.